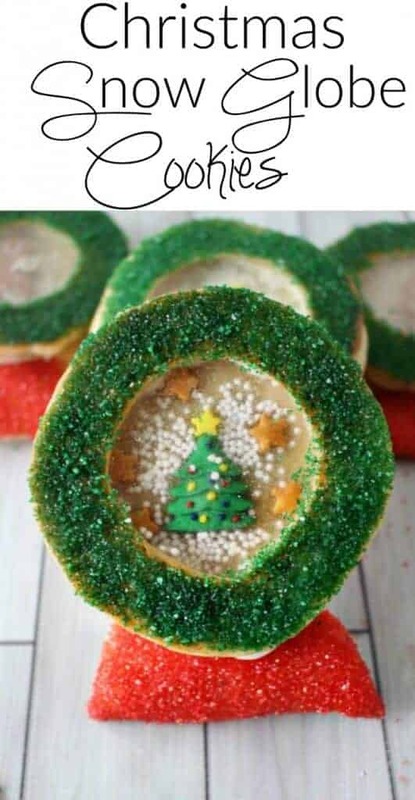 Snow Globe Cookies take Christmas Cookies to the next level – they are cute, delicious and even the glass is edible!! I’ve said it before and I will say it again, I really am a horrible cook. Don’t get me wrong, I have gotten better over the years. BUT what I do totally rock at is food crafting! 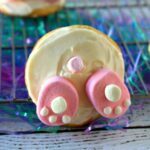 I love creating cute projects with food – preferably dessert! When my sister, Julie, came home for Thanksgiving (and yes, Julie, it is coming home, because this is where you are from) we wanted to make some Christmas Cookies for Princess Pinky Girl. 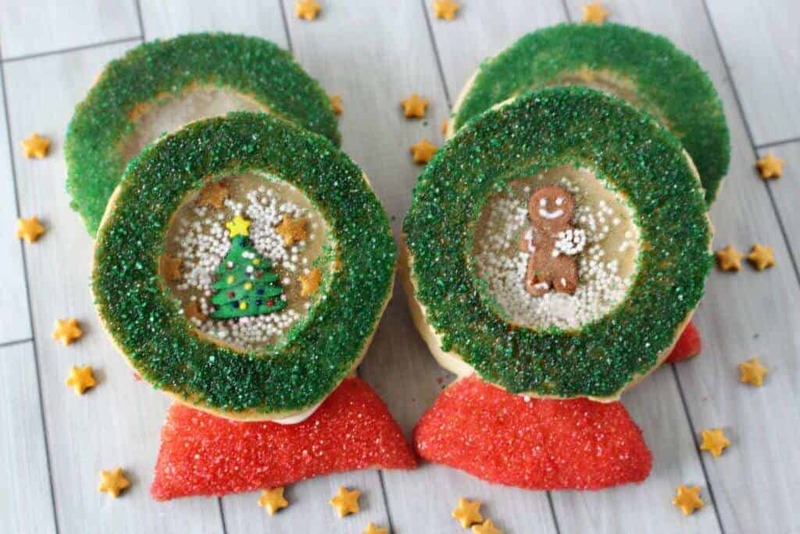 BUT, not just any Christmas Cookies -we wanted to make something TOTALLY unique and different – Presto – Snow Globe Cookies were born. Now, we could have just cut a sugar cookie in the shape of a snow globe, put some pretty frosting on it and called it a day – but heck no, that is not how we operate! We needed to take it to the next level – I wanted it to have “glass”, just like a snow globe. 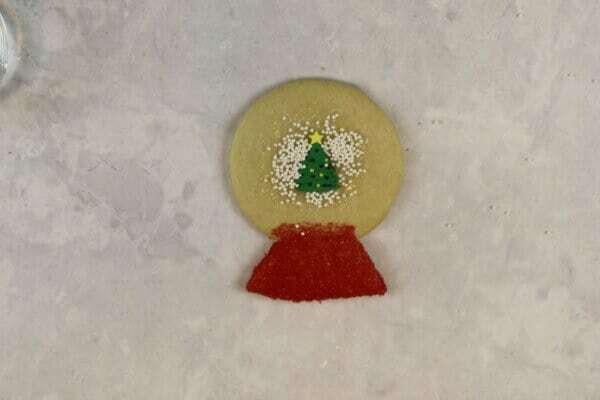 So after some experimenting, we did it – we created an actual snow globe cookie with edible glass candy! Best of all, it was super easy to do!! 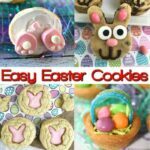 Your favorite sugar cookie recipe (this is my absolute favorite, go to sugar cookie recipe! They are perfect for this sort of food craft because they don’t spread – Wholefully.com. Christmas Icing Decorations – Get Trees Here! – Get Gingerbread Men Here! Silicon Mat – best thing ever! 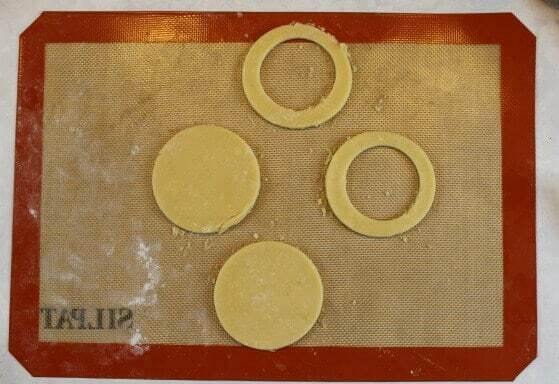 Roll out your sugar cookies dough – I divided mine up into four and wrapped them in plastic wrap and kept the dough that I wasn’t working with in the refrigerator. It is much easier to work with when it is cold. Cut out circles for the globe. In half of the circles, cut a smaller circle out within the larger one (for the window). Cut out a base for each set of circles and press the base to the full circle. 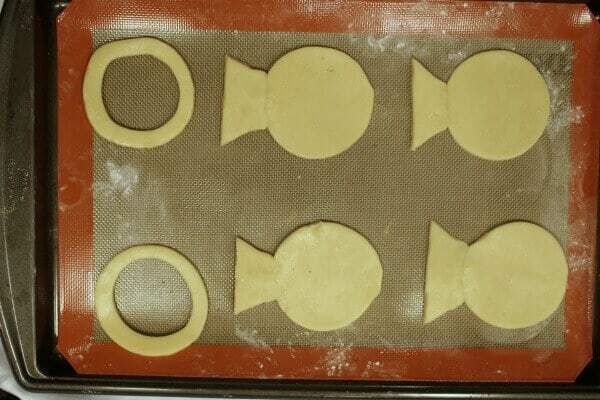 Place the cookies on the Silicon Mat. Melt the Isomalt crystals according to the directions on the package. Pour the melted candy into the center of the cut out circle and let harden. 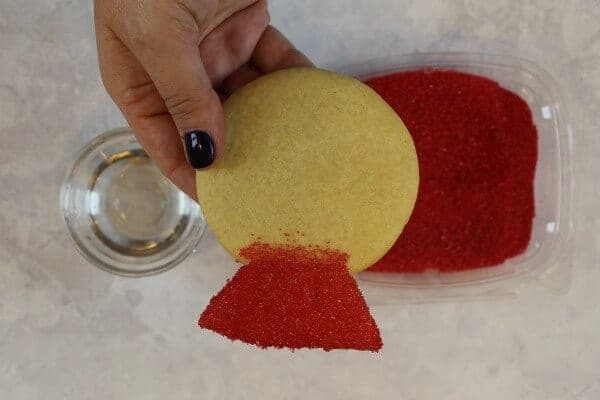 Using a pastry brush lightly brush corn syrup on the base of the “snow globe” and immediately dip in the red decorating sand. 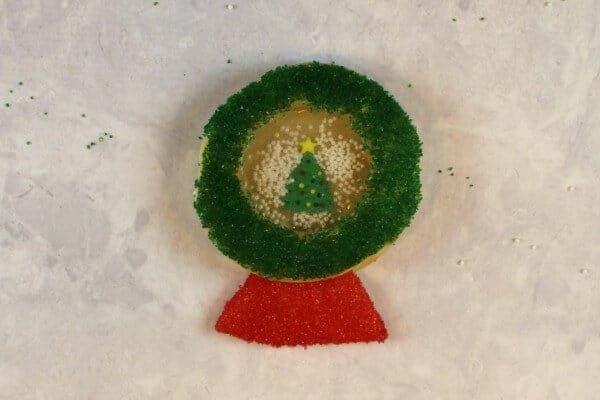 Lightly brush corn syrup around the side of the cookie with the candy window (careful to not get the syrup on the window” and immediately dip into the green decorating sand. Brush a little syrup on the base cookie and place the Christmas decorations of your choice in the middle (tree, gingerbread, stars, etc.) and sprinkle with the white nonpareils “snow”. 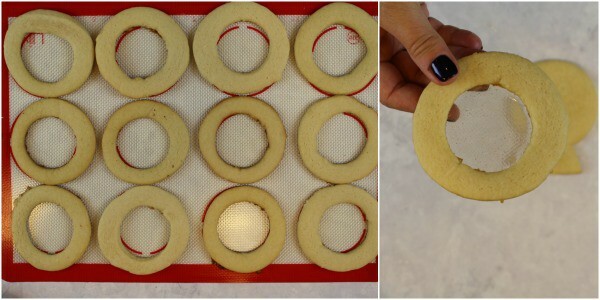 Use the white icing to “glue” the two cookie parts together! Bee-U-tiful Snow Globe Cookies. To get your exact results, “What inch size are your big and small round cutters?” Cant tell from pictures. Thanks a bunch of snowballs! As I have never worked with Isomalt, I am wondering if you have any other suggestions on what to use for the clear “glass” effect. It’s really easy to work with!! I promise. I don’t really know anything other that would give the same look – you could just leave it open? Backtoherroots site doesn’t exist anymore so, no sugar cookie recipe to be had there. Sorry – just saw this comment – yes, there will be a little gap. I filled in with frosting!